The University of Surrey has its origins in the Battersea Polytechnic Institute, which was founded in 1891 and which from the 1920s had particular strengths in science and technology. Following the publication of a Government White Paper on Technical Education, Colleges of Advanced Technology (CATs) were established in 1956, of which Battersea was one. But it was the publication of the Robbins Report in 1963, which gave university status to the Colleges of Advanced Technology. The University of Surrey was established on 9 September 1966 with the granting of its Royal Charter. Moving out to Guildford, the building work did not finish until 1970. The AD and AC buildings in which Psychology is currently housed were among the first buildings developed on the Stag Hill campus. The University has since expanded in recent years onto Manor Park which now houses the University Sports Centre, the Surrey Research Park, the new School of Veterinary Science and other academic buildings as well as a major area of student residences. Although Battersea College of Advanced Technology had concentrated on science and technology, it also included a Department of Humanities and Social Sciences, which was the precursor to the social sciences programmes at the University of Surrey. The ‘in-house’ psychologist at Battersea, who made the trip down the A3 to be a founding member of the psychology presence at the new University of Surrey, was Russell Wicks. Russell Wicks had the distinction of being in the first cohort of Masters students in Britain who graduated in Occupational Psychology (Birkbeck College, University of London, 1958). Russell, a “friendly, genial and interesting person to talk to” (Randell, 2011, 273) had worked in the military as a psychologist having an interest in aviation. He was involved in human factors’ aspects of the TSR2, a low level supersonic bomber project (Empson, 2012). In the early years at Surrey, Psychology was offered as part of a more general Human Sciences degree course comprising Psychology, Philosophy and Sociology. 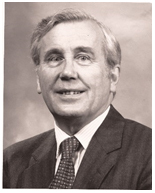 Russell Wicks oversaw the psychology component of this course and continued to be de facto deputy head of department until the establishment of the autonomous Department of Psychology and the appointment of the first Professor of Psychology and Head of Department in 1971, Terence Lee. Russell was a senior figure in British psychology at a national level, had the distinction of being appointed the Honorary General Secretary of the British Psychological Society between 1975-79, and Deputy President from 1979 – 1985. In addition, Russell was Chair of various BPS committees and in recognition of his service was made a Honorary Fellow of the BPS. The culture and expertise of every academic department, of course, is a product of the interests that each new member of staff brings, but it is also the result of outside influences whether it is government and research council funding policies based on the needs of society, the commercial needs of the private sector or the development plans of the universities themselves. Surrey was no different. “However distinguished, intelligent and practical scientists may be, they cannot be so well qualified to decide what the needs of the nation are…as those responsible for ensuring that those needs are met. This is why applied R&D must have a customer. The customer says what he wants; the contractor does it (if he can); and the customer pays” (Rothschild, 1971, p.4 para. 8). The Rothschild Report was, for academics, a highly contentious document at the time as it was arguing that that politicians were better suited to control the funding and direction of applied research than the scientists undertaking it. It was perhaps then serendipitous that Terence Lee was appointed as the first Professor of Psychology and Head of Department at Surrey in the same year that the Rothschild Report was published. The views of Rothschild were not particularly at variance with Terence Lee’s research interests and inclinations because his own research had been borne out of something of this process. Booth, C. (1903). Life and Labour of the People in London. Macmillan and Company, limited. Bulmer, M. (1982). The uses of social research: Social investigation in public policy-making. Allen & Unwin London. Empson, J. (2012). Hetta and William: a memoir of a bohemian marriage. Bloomington, IN: Authorhouse. Solesbury, W. (2001). Evidence based policy: Whence it came and where it’s going (ESRC UK Centre for Evidence Based Policy and Practice No. Working Paper 1). Queen Mary, University of London.